As the granddaughter was walking away from the doorway, police say the man shot once through the door striking the woman in the stomach. 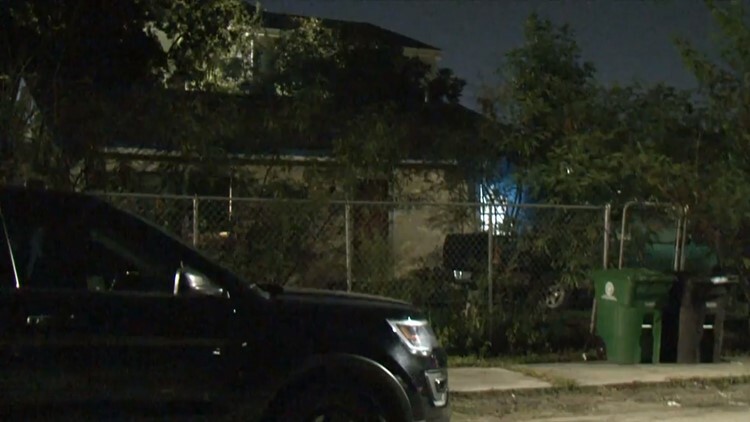 HOUSTON -- An argument between a man and his niece turned violent when police say he shot her at a home on the south side early Monday. Leroy Houston, 60, is charged with aggravated assault of a family member in the shooting of his niece, Terrelisha Cole, 21, who was transported to an area hospital, Houston Police said. HOD had previously identified the victim as Houston's granddaughter, but later revealed she is the suspect's niece. This happened around 2 a.m. at a home located at Illinois and Old Spanish Trail. Police said Houston and Cole got into an argument and the man walked out of the residence. He then returned with a gun. The two continued to argue before Cole went into the bathroom and slammed the door. Police said Houston then fired a shot through the door and struck Cole in the abdomen. Houston ran away from the home in an unknown direction. Houston Fire Department paramedics responded to the scene and transported Cole to the hospital. Anyone with information on the whereabouts of Leroy Houston or in this case is urged to contact the HPD Major Assaults & Family Violence Division at 713-308-8800 or Crime Stoppers at 713-222-TIPS.